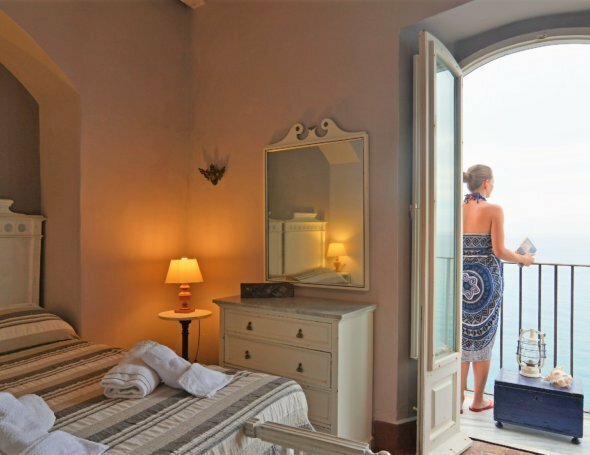 Villa Blue Bay is a stunning seven bedrooms villa sent in the most idyllic setting only moments away from Taormina. 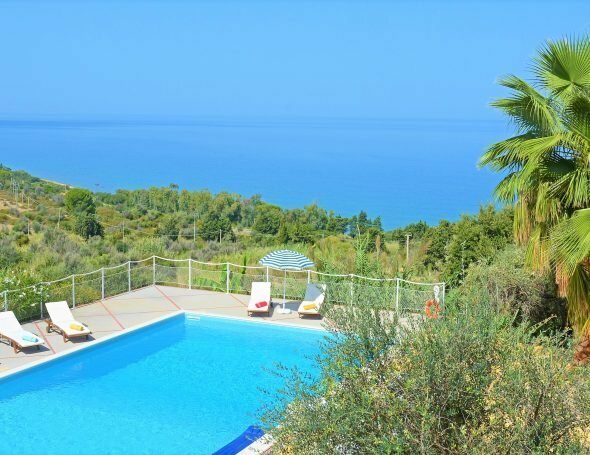 This enchanting property offers a high standard of accommodation with a glorious sea view. The strikingly modern style throughout with minimal furnishing and predominate neutral colour. The lower ground floor is on the sea level. Modern and well-equipped kitchen adjacent to the living room and three bedrooms 2 with ensuite and a separate bathroom with shower. One of the three bedrooms has no windows. Also on this floor a small wellness area with a few gym pieces of equipment. The terrace has an extensive seating area which is the most magical setting to enjoy the sublime view. The swimming pool is set in one corner of the perfectly manicured garden. 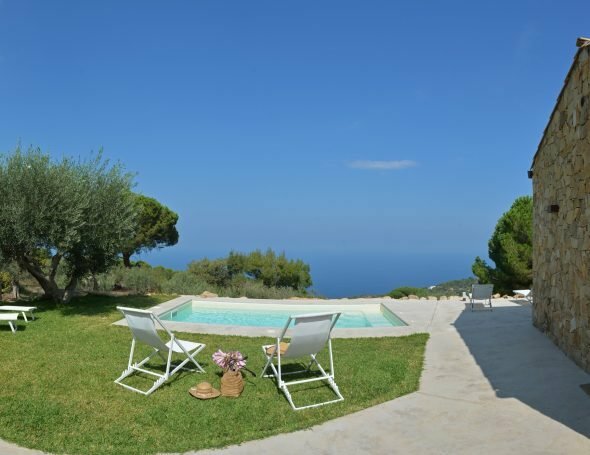 Direct access to the sea from the garden. Outdoor: Garden, solarium and swimming pool, equipped with umbrellas, tables and chairs. As Villa Blue Bay is newly available for rental, there are no guest comments to date. Massimo Villas team member, (Martina), has visited the property and is happy to answer any queries.